Some would say that something is “interesting” if it generates a lot of profit. For those, I can tell you about an arbitrage model I developed that hedged the Venezuelan currency foreign exchange against the price of oil. At the time, I was running finance for an oil and gas services company that had inflows in US dollars and outflows in local currency (Venezuelan Bs). The hedging model predicted an equilibrium exchange rate (dependant variable) based on an expected oil price (independent variable). I used the model to determine when to go long or short on the local currency resulting in trading profits that were similar in size to the accrued operational profits. Others would say that something is “interesting” if you discover something you didn’t know about something you really care. In this case, let me tell you that since a I was a little kid, I wanted to understand how soccer fans value World Cup players. 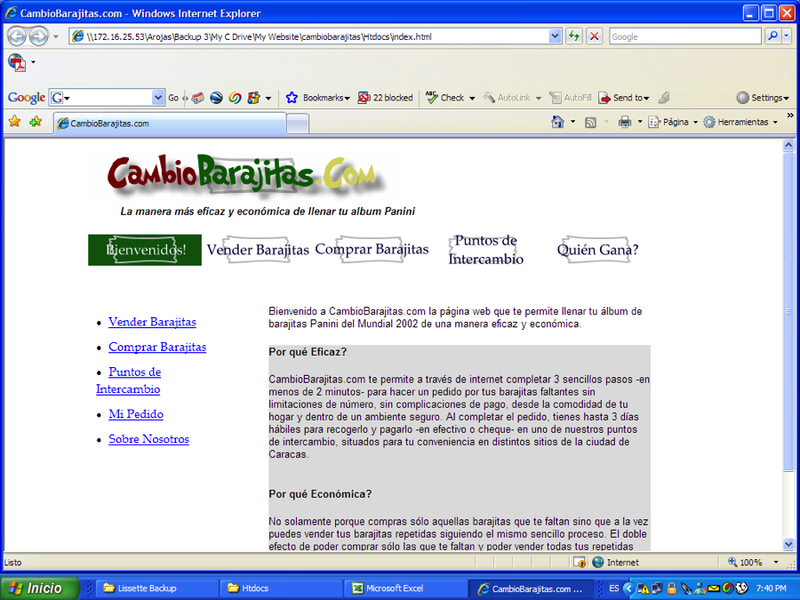 Just for fun, back in 2002, I built an online marketplace, cambiobarajitas.com, for Panini soccer stickers powered by an algorithm that determined bid and ask prices based on the supply and demand of each individual player. Handling a volume of over ten thousand transactions, the site provided more than enough liquidity to calculate the actual probability of getting each of the total 600 stickers. What I discovered was that stickers of famous players like Ronaldo and Michael Owen were trading at street prices above their true probability-based intrinsic value. That extra pricing uncovered and its corresponding surplus measured how much soccer fans really value them. Both stories communicate the message that information you receive at face value not always reflects its true intrinsic value. Using technology to uncover these type of information puzzles is fascinating and is really what motivates me to learn and try out “interesting” methods to deal with them.